L 2000 x 1324px 8 Mb. XL 3058 x 2025px 15 Mb. 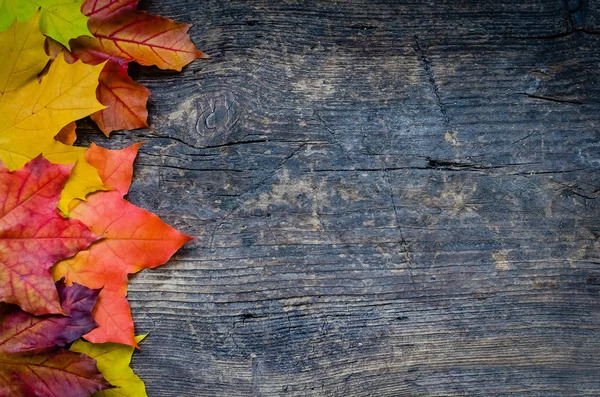 Autumn background with colorful fall maple leaves on rustic wooden table with place for text. Thanksgiving autumn holidays background concept. Frame with autumn leaves. Copy space. Top view.